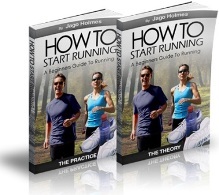 If you plan to start running sometime soon, it’s going to be a huge advantage for you to learn all you can about how to do it properly and how you can progress quickly and safely. This collection of running tips should give you some great ideas to get you moving forwards to begin with. This is possibly one of the most common problems faced by anyone wanting to exercise who hasn’t previously done so. However, even the busiest amongst us can find 20 minutes here and there, two or three times a week. But if you’re really struggling to do this, get out of bed 20 minutes earlier in the morning and run then. You’ll feel great at work knowing you’ve already done your exercise for the day. Lack of time is a problem for most people, so this running tip should be a great help to anyone who works close enough to where they live to be able to run back home from work at the end of the day. If you do this 3 times a week, not only are you saving petrol or bus fares, but you’re also combining two tasks in one. Getting home and doing your run. This is one of the easiest running tips there is – simply join a running club. There are loads of them around and their members tend to be a friendly bunch, with similar interests to you – running. They usually have beginners groups and there will always be someone around to motivate you. Also you’ll have a set time to run each week, which makes it easier to commit to and finally because you’ll be running with a group of other runners, you’ll be much safer. As a beginner, two things usually come up as reasons for not getting started. Firstly, ‘will I be able to do it’ and secondly ‘I’ll be embarrassed running outdoors where people might see me red faced, out of breath and struggling along’. An easy running tip to get around this problem is to start by using a treadmill, either at home or a local gym. Once you’ve built up the confidence and fitness indoors, then you can start running outside. We all need goals and a direction to head in, so why not give yourself a great end goal by entering a 5k race. They can usually be completed by beginners in around 30 – 40 minutes, so training to do one means you aren’t going have to run for hours at a time. Don’t just think about it though, actually book a place and get some sponsors straight away if you’re going down the charity route. Doing this will ensure you stay motivated and remain dedicated to your task.